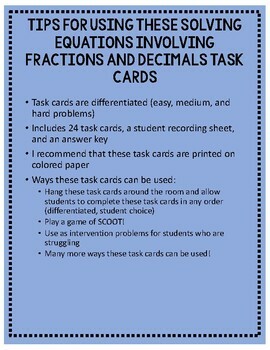 This product includes 24 task cards, a student recording sheet, and an answer key. 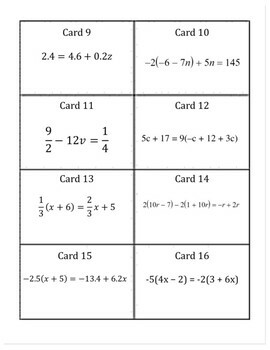 The task cards are differentiated-- they contain easy, medium, and hard problems. 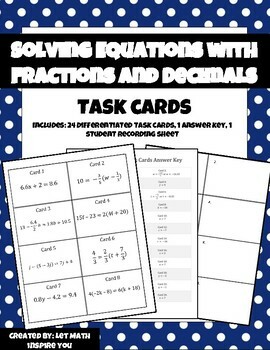 You can hang these task cards around the room and allow students to complete these task cards in any order at their own pace (differentiated, student choice). You can use these task cards to play a game of SCOOT! 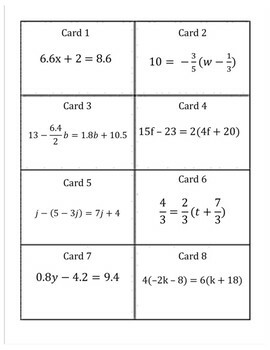 You can use these as intervention problems for students who are struggling, etc. I recommend that these task cards are printed on colored paper so they pop!